Nambung beach is the new tourism object in Lombok. Nambung beach located in Nambung, Pengantap Village, Sekotong district, West Lombok, or about 60 kilometers from Mataram city. Nambung beach is a marine tourism which is still relatively virgin because the beach was still awake it natural beauty and untouched by the accommodation like another famous beach area in Lombok Island. Nambung beach offers the beautiful views of the white sand shaped like a pepper and became one of the main attractions of the coast. In addition, at the end of this shoreline you can find a rock cliff underneath there is a small pond. 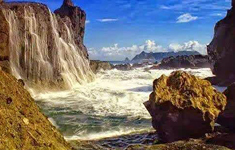 When the seawater slammed the cliff, the sea water will fall and look like a waterfall, you can swim in the pool under the waterfall. To reach the cliff, you have to walk through a beautiful white sand beach while enjoying the sea breeze and waves that look like chasing each other. In addition to the beauty and uniqueness, Nambung Beach also has waves are very suitable to be a place to surf, but for those of you who want to enjoy the beach waves with surfing, you have to bring their own equipment to surf this beach because it has not had adequate accommodation. Nambung Beach Tour starts from the hotel at 07.30am after breakfast. We will drive to the west of Lombok, about 60 km from Mataram. We will drive direct to Nambung beach because the best moment to visit Nambung beach between 06.00-10.00am or 16.00-18.00pm. We can reach the rock cliff and see the beatiful sea water fall. You can take the beautiful shoot landscape of Nambung beach with white charming sandy beach, rock cliff and waterfall. 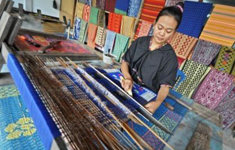 After enjoy the views at Nambung beach we will transfer back to visit, Sukarara Village where we can see the local people make Lombok Woven. The trip continue to Sade to visit traditional Sasak house. 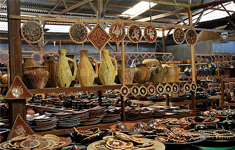 The final place to visit is Banyumulek, we can see many kind of Lombok pottery here. We will drive back to the hotel and the program finished.